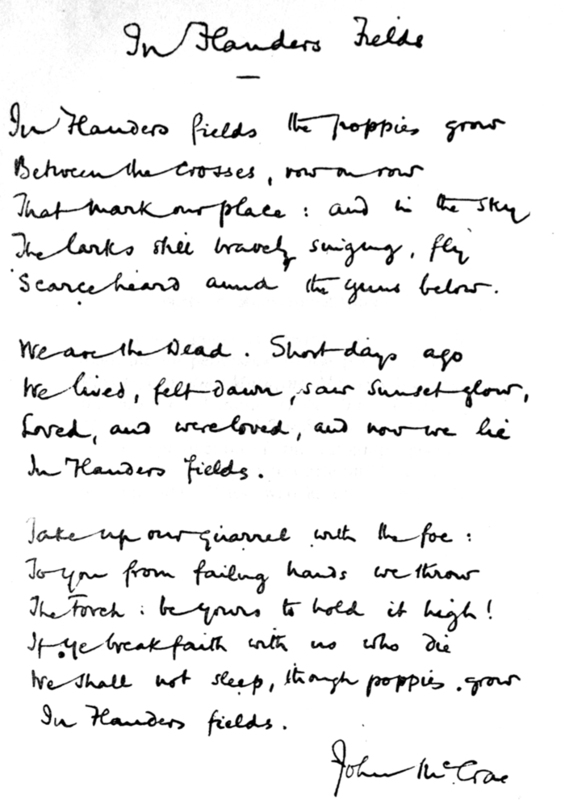 In Flanders Fields by Lieutenant Colonel John McCrae. 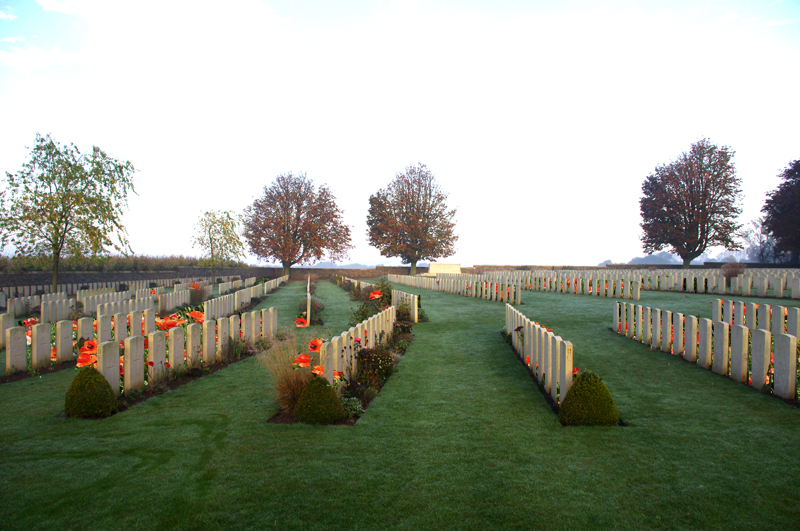 The photograph is from the Canadian Cemetery No. 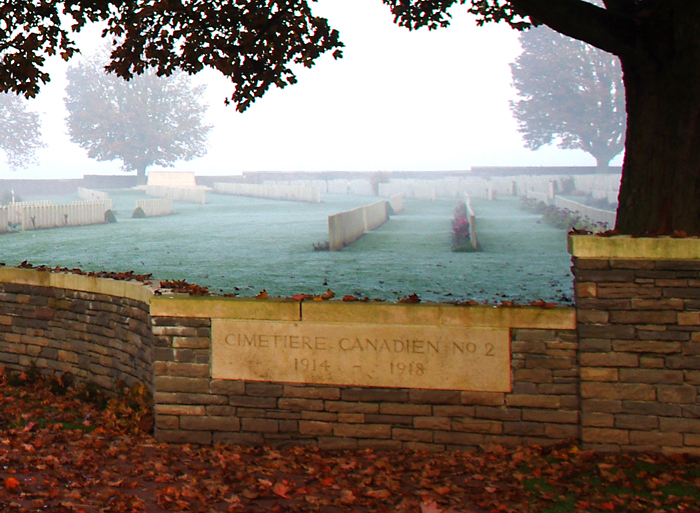 2 at the Canadian National Vimy Memorial, France.